In the years of the post-Darwinian debate, many American naturalists invoked the name of Lamarck to signal their belief in a purposive and anti-Darwinian view of evolution. Yet Weismann’s theory of germ-plasm continuity undermined the shared tenet of the neo-Lamarckian theories as well as the idea of the interchangeability between biological and social heredity. Edward Drinker Cope, the leader of the so-called “American School,” defended his neo-Lamarckian philosophy against every attempt to redefine the relationship between behavior, development, and heredity beyond the epigenetic model of inheritance. 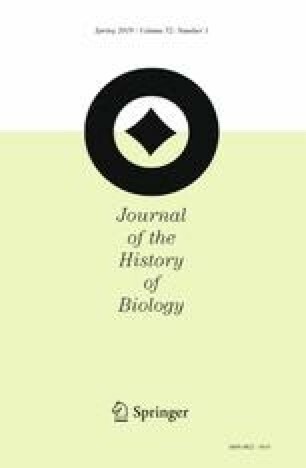 This paper explores Cope’s late-career defense of neo-Lamarckism. Particular attention is dedicated to the debate he had with James Mark Baldwin before the publication of Baldwin’s own “A New Factor in Evolution” (1896d). I argue that Cope’s criticism was partly due to the fact that Baldwin’s theory of social heredity threatened Cope’s biologistic stance, as well as his attempt to preserve design in nature. This theoretical attitude had a remarkable impact on Baldwin’s arguments for the theory of organic selection.